Home Yoga New to yoga or r/yoga? Start here. Looking for a list of challenges? Also here. If you are new to the sub or new to yoga, WELCOME! There is an immense amount of information available in this sub, and an excellent community of people. If you're here for the challenges, the list is in the stickied comment, here.  Enjoy! If you're brand-spanking-new, please take a few minutes to read through the Getting Started section. If you have a question, PLEASE check out the FAQ and try search before creating a new post. As noted in rule 2, commonly asked questions are removed and directed to the above – especially at the start of the year when the same question is often posted multiple times a week or even a day. Styles – there's a nice rundown of the various styles in the FAQ – here's a direct link. … but where do I START? If you've never done yoga EVER and are going to start with a studio class and you're terrified, a restorative class is a good introduction to a studio and the various props. From there, as mentioned in the Getting Started section, hatha is a solid choice. Pick up the basics, and everything else is easier to learn. Try search for sure, but of course there's a list of topics in the FAQ. The first link in the section is the Dec 2018 megathread for mats. Yep, it happens. Search for 'sweat', 'sweaty hands', and 'mat + sweat'. Towels are also very handy. Wrists and back especially can be a problem at first. Definitely try searching for your specifics before creating a new post, but do ask if you don't find things! The FAQ section has been updated – channels and sub sites just done, apps yet to come, though there are some links to relatively recent threads. This post is well worth the read regarding learning yoga at home. It's in the sidebar, it's in the rules, it's in the note when you create a new post. PLEASE utilize search and the FAQ before creating a new post. Especially around the first of the year, it's not unusual to see 3 versions of the same post in a day, asking questions that are well covered in the sub. If your post is removed because the answers are available there the mod team is not scolding you, we're just letting you know why it was done and reminding you that the answers you seek already exist. And yes, the mod team finds themselves busy doing just that this time of year. yoga is not the place for medical advice. This is always a handy reminder. 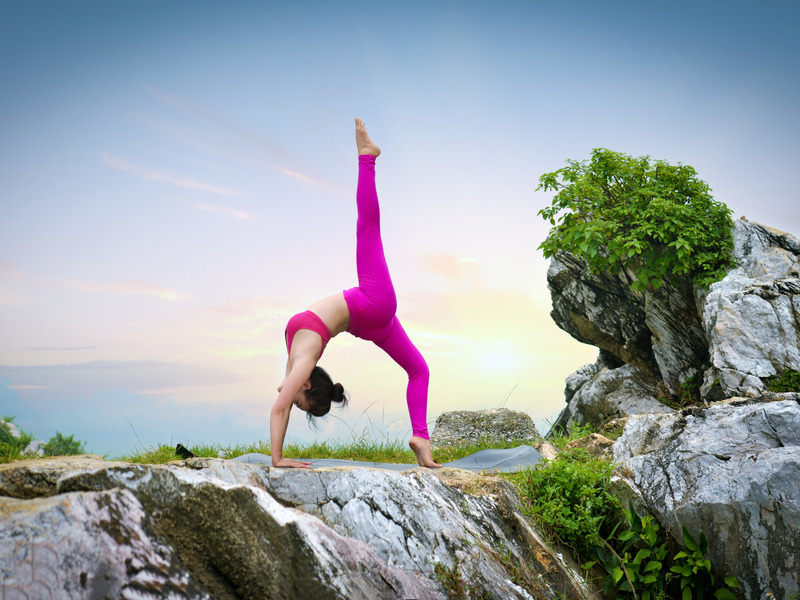 Addendum to the above – Yoga philosophy and western medicine are different. There is room for both in this sub. This means that things like subtle bodies and energy (prana) movement and chakras all have a place here as well as discussion from a western perspective. There is no demand that anyone agrees with what is presented, but rule 1 applies in these cases- be respectful. Yes, we have a wiki and FAQ . (And they're awesome.) The FAQ and search are the best places to start if you're new to yoga or have questions about styles, equipment, injuries, or resources. FAQ updates will be coming, but in the meantime, we have continued to leave up questions that haven't been in awhile to keep more up-to-date information available when it exists. Yes, they're even available via app and mobile. Yes, really. (The sidebar, too!) It can take a little looking, but we haven't yet found an app without access to the sidebar. This sub is not for market research. It's a community. Requests for the sub to tell you what we love or hate about our yoga mats and t-shirts will be removed, as will asking us to fill out surveys for that or your thesis research. Those are not the only such examples. When in doubt, feel free to message the mods ahead of time. Established community members can message mods ahead of time for permission on a case-by-case basis. Blatant spam may result in an immediate, permanent ban (anyone that's posted T-shirt spam in the last few weeks has found this to be the case). The automoderator is in use and working relatively well in terms of catching spam, and the mod team continues to monitor what is being automatically removed. Sometimes we catch them in the first 5 minutes, but sometimes it's a few hours between mod sweeps. If you've posted something that isn't showing up, you're welcome to message the mods (keeping in mind that it's possible it will be a bit before a mod sees it- please be patient!) and ask about it- including a link is much appreciated. Your mod team is human (you totally thought we were unicorns and rainbow-chasing leprechauns, but aside from cosplay and Halloween, not so much). Part of modding is making judgement calls, and sometimes we remove things that we can't be sure there isn't a bot behind that turns out to be totally legit because another real, in-the-flesh reddit user actually did post.  Much like the point above, feel free to ask. The discussions on the Sutras have been collected on a wiki page here. Feel free to continue contributing to those threads as well as the current one. Search the history of this sub for discussions on poses. Probably two years ago now? There is a VERY LARGE part of this sub that doesnt wan't them to have a place here at all. The gist of it is that people come to reddit and dont want it to be like another yoga instagram, or something, I dont know. But there were portions of time in this sub when our ENTIRE front page was yoga pics. COMP was an effort to a compromise that would allow people to filter them out if they didnt want them there… In regards to the self-doxxing aspect. Sexual harassment, and online bullying have originated in this sub at least four times that I was made aware of. This rule was instituted to keep everyone safe. I don't care if YOU want your instagram accounts on the sub (self promotion?) but we are keeping people safer with this rule and the way we enforce it. Its going to stay. Take the extra 2 minutes and upload it to imgur. Sexual/sexualized/objectifying comments are not welcome here. Removals are guaranteed, and warning vs. ban will be handled on a case-by-case basis. Just don't. It all falls under rule 1. Edits so far- updated with link to the online resources, added link to sticky comment.